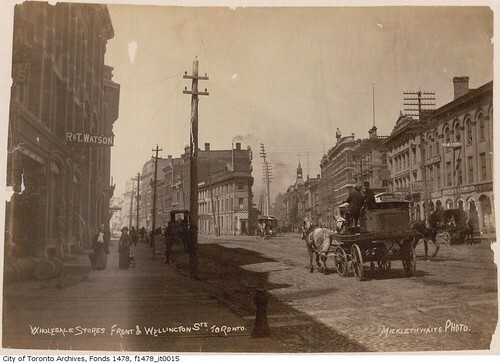 From Historic Toronto‘s small but interesting Pre-1900 set on Flickr. 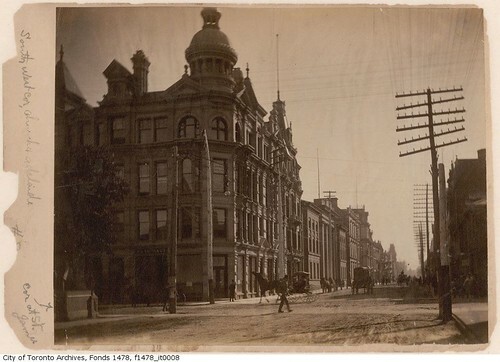 frontandwellington18851895nz5, originally uploaded by Historic Toronto. 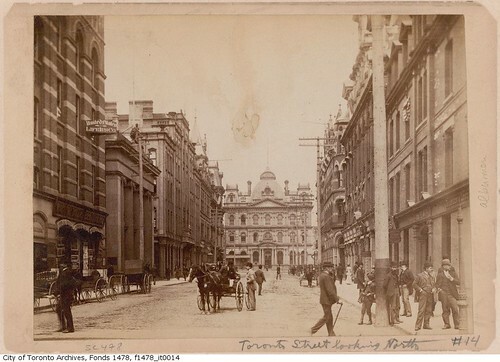 torontostreetlookingn18851895vq4, originally uploaded by Historic Toronto. churchandadelaide18851895in5, originally uploaded by Historic Toronto.